Aaron Sorkin has had plenty of success with the likes of TV’s The West Wing and The Newsroom, as well as writing the screenplays for movies such as The Social Network and Steve Jobs. Now though he’s stepping behind the camera for the first time with Molly’s Game (which unsurprisingly he also wrote). Simon Kinberg has been involved with the X-Men franchise for a long time. He’s written most of the movies since The Last Stand, and been a producer on all the flms since First Class. Now he’s been confirmed to be be stepping behind the camera, as he will direct the upcoming X-Men: Dark Phoenix. They’re also busy filling out the cast, with THR reporting that Jesica Chastain is in talk to play the villain. X-Men: Apocalypse introduced us to a new version of Jean Grey (Sophie Turner), who we saw having an extreme power that she must keep contained. In the comic she became ‘imbued by a cosmic energy called the Phoenix Force. It eventually overtook her personality and made her bad, necessitating the X-Men to stop her.’ It’s not clear whether the film will bother with the ‘Phoenix Force’, as in a version of the storyline in The Last Stand, the almost uncontrollable ‘Phoenix’ was part of Jean’s mutant powers that she had to keep under control. Apocalypse suggested the new Jean Grey may be the same. Jennifer Lawrence, Michael Fassbender, James McAvoy and Nicholas Hoult are all expected to return. Synopsis: The real-life story of one working wife and mother who became a hero to hundreds during World War II. In 1939 Poland, Antonina Żabińska (portrayed by two-time Academy Award nominee Jessica Chastain) and her husband, Dr. Jan Żabiński (Johan Heldenbergh of “The Broken Circle Breakdown”), have the Warsaw Zoo flourishing under his stewardship and her care. While much of the world finds it difficult to understand the US’s reluctance to enact gun control measures, it remains one of the most vexed issues in the country. However, Miss Sloane wants to take a look at some of the issues. The Huntsman: Winter’s War was always going to have an uphill struggle with critics. Most of them didn’t particularly like the first film, Snow White And The Huntsman, and it was very difficult to see the point of making a follow-up. When Winter’s War arrived, it turned out not that many other people could see the point either, as it didn’t exactly set fire to the box office. Back it early June it was revealed that despite the failure of Prince Of Persia: Sands Of Time, Jake Gyllenhaal was jumping back into the video game-to-movie business with a film ased on Tom Clancy’s The Division. Now he’s got some company as THR reports that Jessica Chastain will co-star. The game is a third-person shooter that’s set in a dystopian New York City following a smallpox pandemic. Gyllenhaal will play an agent of the Strategic Homeland Division, commonly referred to as ‘The Division’, who investigates the nature of the outbreak and combats the criminal activity that springs up in its wake. It hasn’t been revealed exactly who Chastain will play. Ubisoft must think they’ve got a good chance with a movie version, as the game is their fastest selling title of all time, reportedly shifting $330 million worth of copies in just five days. It is part of the company’s attempts to turn the reputation of videogame-to-movie titles around, with high-profile films such as Assassin’s Creed starring Michael Fassbender and Splinter Cell starring Tom Hardy also in the works. It’s back to the fairytale realm for The Huntsman: Winter’s War, which has just dropped a new trailer. As with previous promos, it’s difficult not to get the feeling you’re watching a live-action, more grown-up version of Frozen, and it’s tough to know whether that was the intention or not. Here’s the synopsis: ‘The fantastical world of Snow White and the Huntsman expands to reveal how the fates of The Huntsman Eric and Queen Ravenna are deeply and dangerously intertwined. 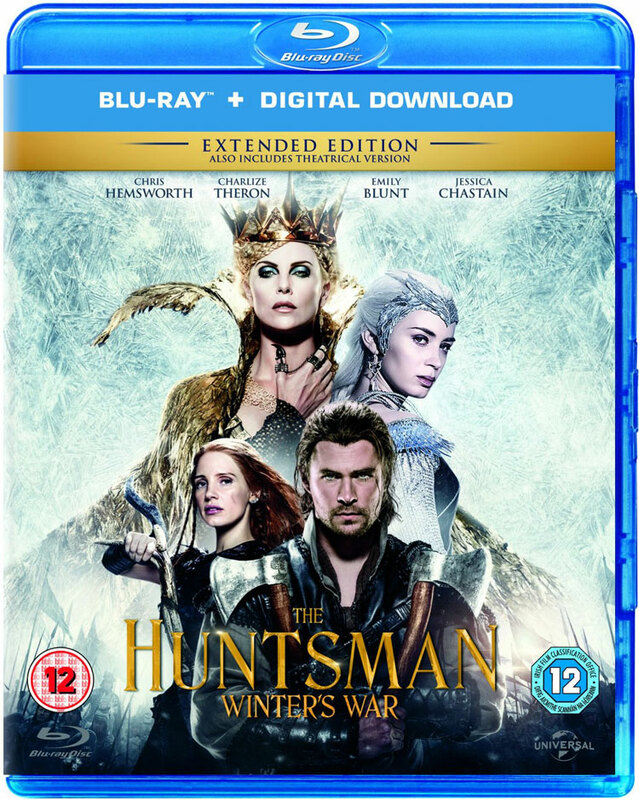 Chris Hemsworth and Oscar® winner Charlize Theron return to their roles in The Huntsman Winter’s War, an epic action-adventure in which they are joined by Emily Blunt and Jessica Chastain, as well as director Cedric Nicolas-Troyan. Producer Joe Roth (Maleficent, Alice in Wonderland) once again leads the team in a breathtaking new tale nested in the legendary saga. ‘Long before the evil Queen Ravenna (Theron) was thought vanquished by Snow White’s blade, she watched silently as her sister, Freya (Blunt), suffered a heartbreaking betrayal and fled their kingdom. With Freya’s ability to freeze any enemy, the young ice queen has spent decades in a remote wintry palace raising a legion of deadly huntsmen—including Eric (Hemsworth) and warrior Sara (Chastain)—only to find that her prized two defied her one demand: Forever harden your hearts to love. The big budget ‘summer’ movie season is starting early this year, with the likes of Batman v Superman on March 25th and The Huntsman: Winter’s War on April 4th. The latter has now released its final official poster, which you can see below. Here’s the synopsis: ‘Discover the story that came before Snow White in The Huntsman: Winter’s War. 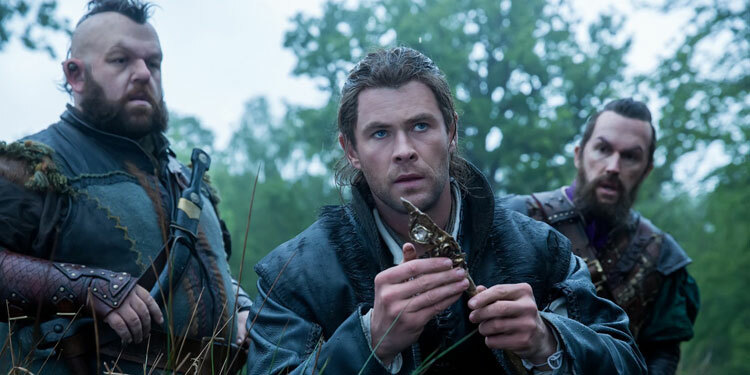 Chris Hemsworth and Oscar® winner Charlize Theron return to their roles from Snow White and the Huntsman, joined by Emily Blunt and Jessica Chastain. ‘Theron stars as evil Queen Ravenna, who betrays her good sister Freya (Blunt) with an unforgivable act, freezing Freya’s heart to love and unleashing in her an icy power she never knew she possessed. Retreating to a kingdom far to the north, Freya raises an army of Huntsmen as her protectors, with the only rule that no two of them should ever fall in love. From Jobs and The Social Network to The West Wing and The Newsroom, Aaron Sorkin has had a huge amount of success as a writer and TV producer. Now though he’s heading for the director’s chair, with the recently announced Molly’s Game. TheWrap reports he may have found his lead, as Jessica Chastain has been offered the role and is currently considering taking it. Based on a true story, the film is set in the world of high-stakes poker, with the story following Molly Bloom who was a top-tier skier who headed to Los Angeles after not qualifying for the Olympics and became an an organizer of underground poker games for Hollywood players including Ben Affleck, Leonardo DiCaprio and Tobey Maguire before being arrested by the FBI. Her downfall was getting involved (or according to her, pressured) by the wrong people, including the Mafia who wanted a slice of the action after she moved from LA to New York, as well as turning what was a lucrative but legal operation into something that was classed as illegal gambling, after she started taking a cut of the pot rather than just relying on tips. It’s not known when the film will shoot, and it appears Chastain’s involvement is dependent on her rather hectic schedule.